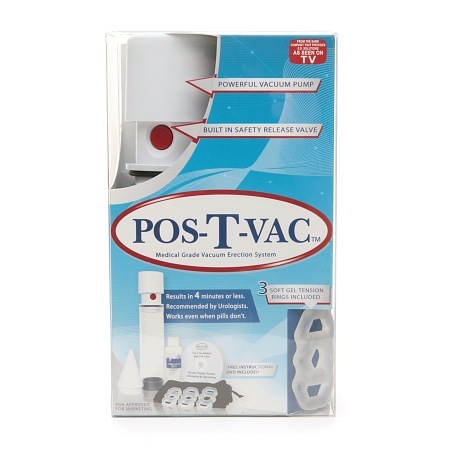 Pos-T-Vac has introduced an extremely effective erectile dysfunction pump at an affordable price. The Regain Vacuum Therapy System is drug free, healthier, and safer. Men can expect results in 4 minutes or less. 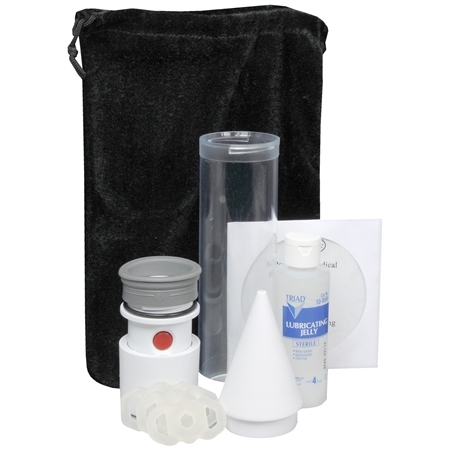 This manual (no batteries required) ED Vacuum Pump works even when pills do not. The soft silicone rings maintains an erection for up to 30 minutes. 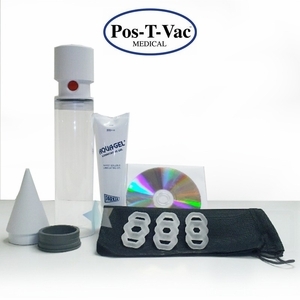 Vacuum therapy will produce instant, controllable, and predictable results and at the lowest cost of any therapy. Made in the USA. FDA Approved. Recommended by Leading Urologists.